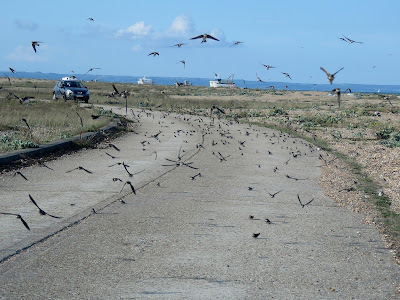 Despite the flat calm conditions this morning there was a very good seawatch with an excellent total of 23 Balearic Shearwaters as well as 1200 Gannets, six Arctic Skuas, 430 Sandwich Terns and 555 Common Terns. 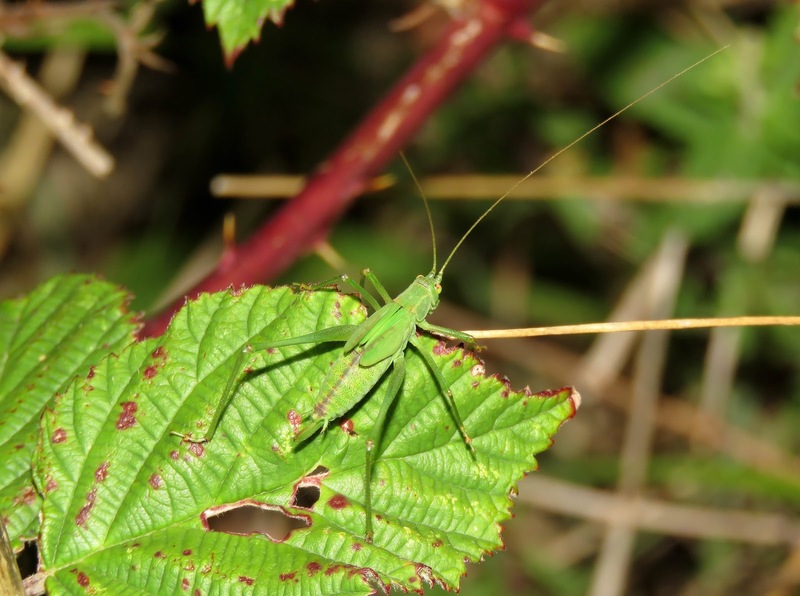 There was also a small arrival of migrants on the land with 20 Willow Warblers and Garden Warbler and Sedge Warbler in the moat. 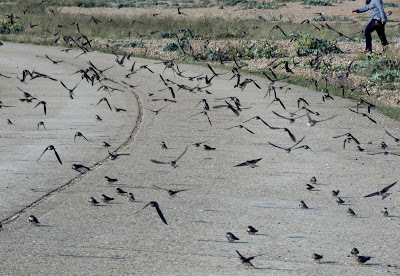 Sand Martins continue to pass through in large numbers with about 2700 seen today. 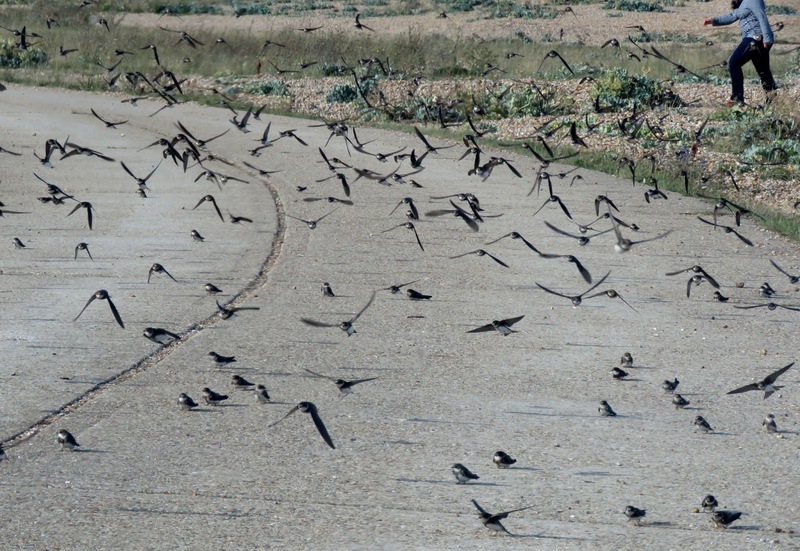 Two Yellow Wagtails also flew south. 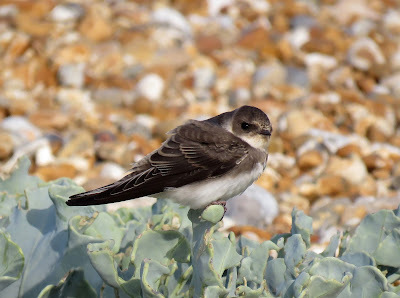 At least six Porpoises were feeding close inshore. 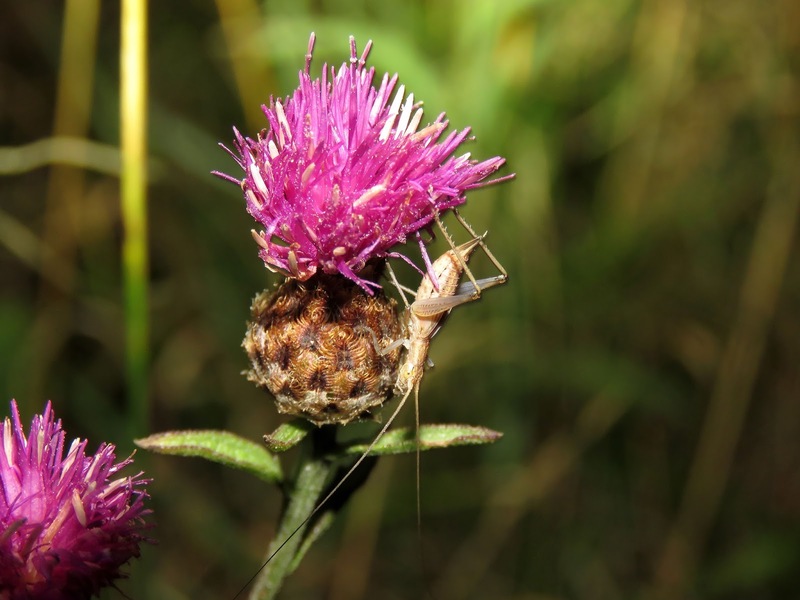 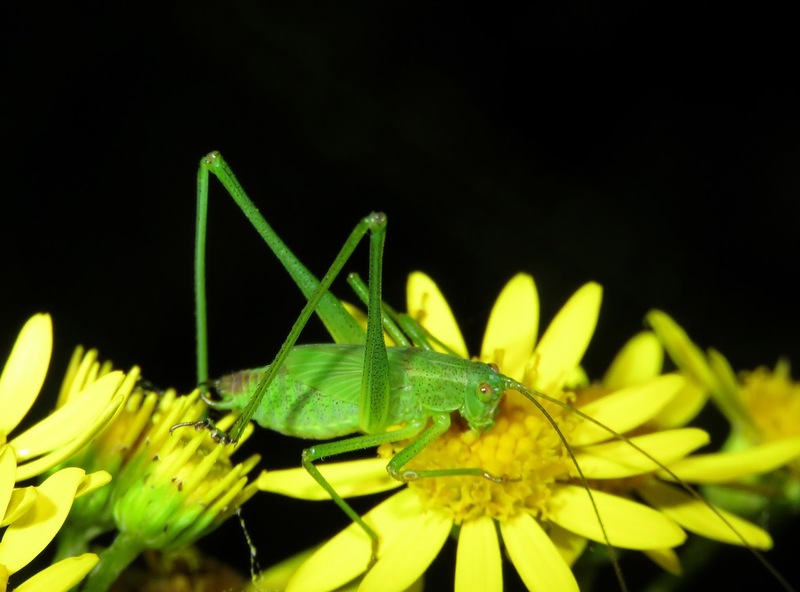 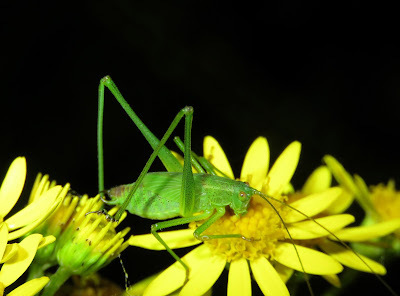 A torchlight search for Orthoptera last night proved very successful with four Sickle-bearing Bush-crickets (two adults and two final instar nymphs) and several Tree Crickets including singing individuals. Two adults and two nymphs. 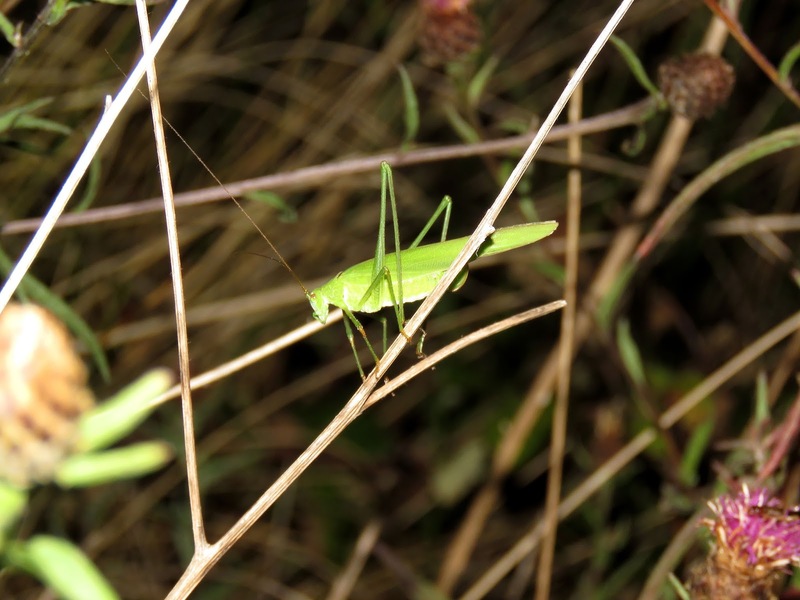 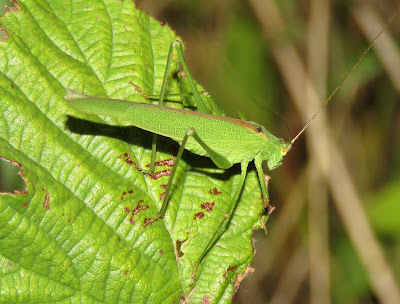 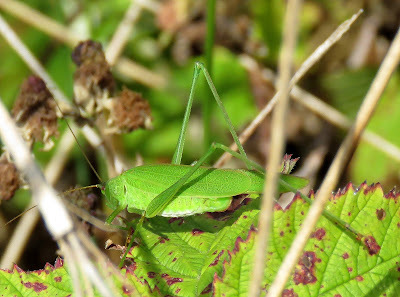 A further search this morning revealed a single adult Sickle-bearing Bush-cricket in the same area. This individual was seen during the morning.